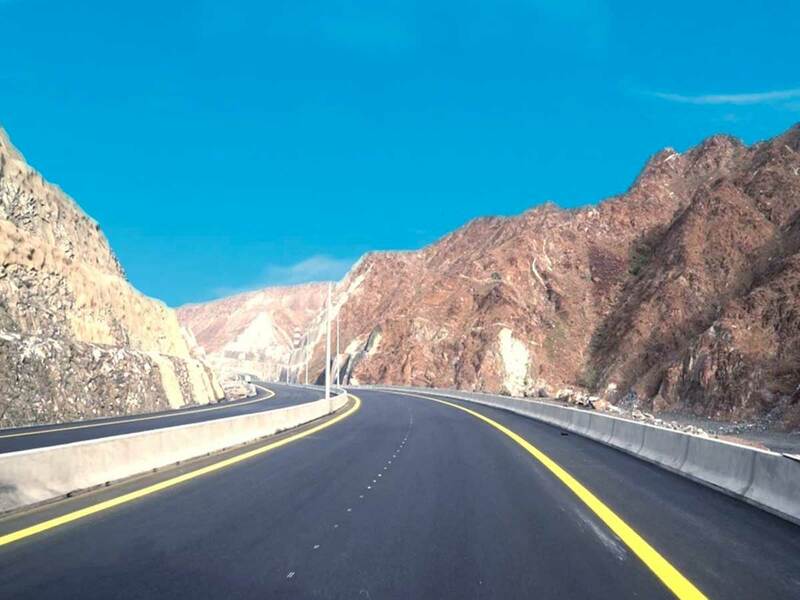 Khor Fakkan: The Sharjah-Khor Fakkan Road was opened on Saturday, reducing the drive from Sharjah to the coastal city from two hours to between 45 minutes to one hour. 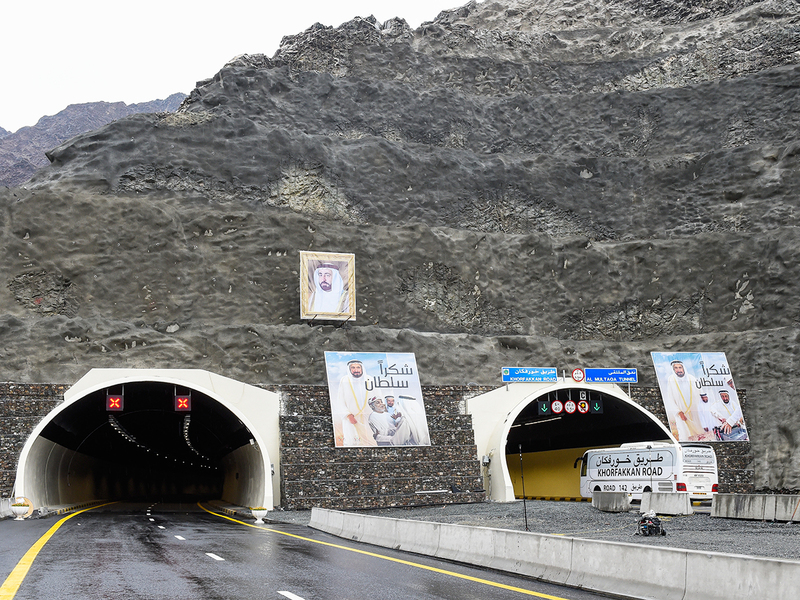 The 89-km project, completed at the cost of Dh5.5 billion, was inaugurated in Khor Fakkan on Saturday April 13, marking a new phase in the development of the infrastructure and tourist facilities in the East Coast city. The Resistance Memorial, which commemorates the people of Khor Fakkan who fought against a Portuguese seaborne attack at the beginning of the 16th Century, was also inaugurated. They have been undertaken on the directives of His Highness Dr Shaikh Sultan Bin Mohammad Al Qasimi, Member of the Supreme Council and Ruler of Sharjah. 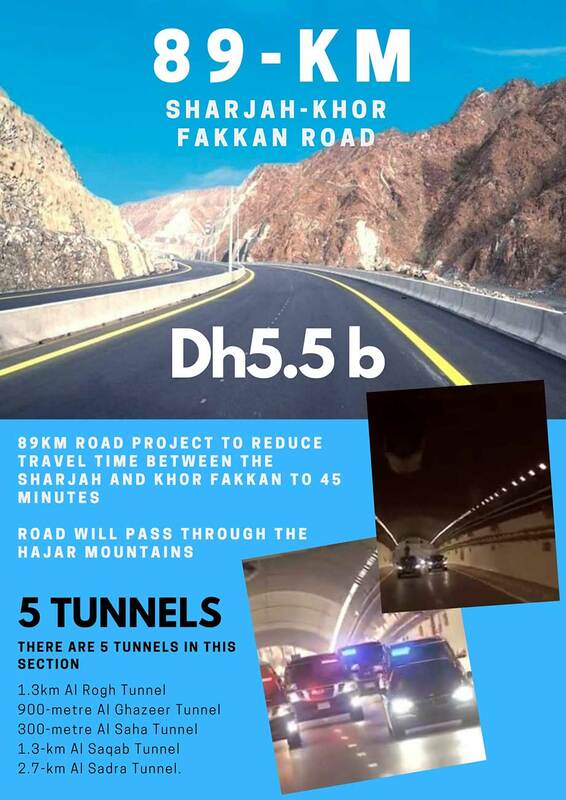 The most important of the developments is the 89km Sharjah-Khor Fakkan Road Project, built at a cost of Dh5.5 billion. 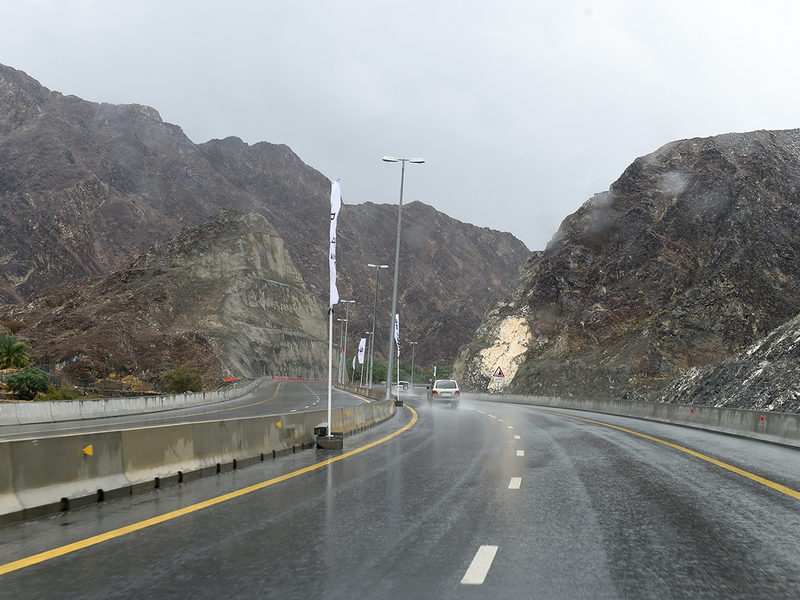 Passing through the Hajar Mountains, the road is expected to reduce travel time between the two cities to 45 minutes. 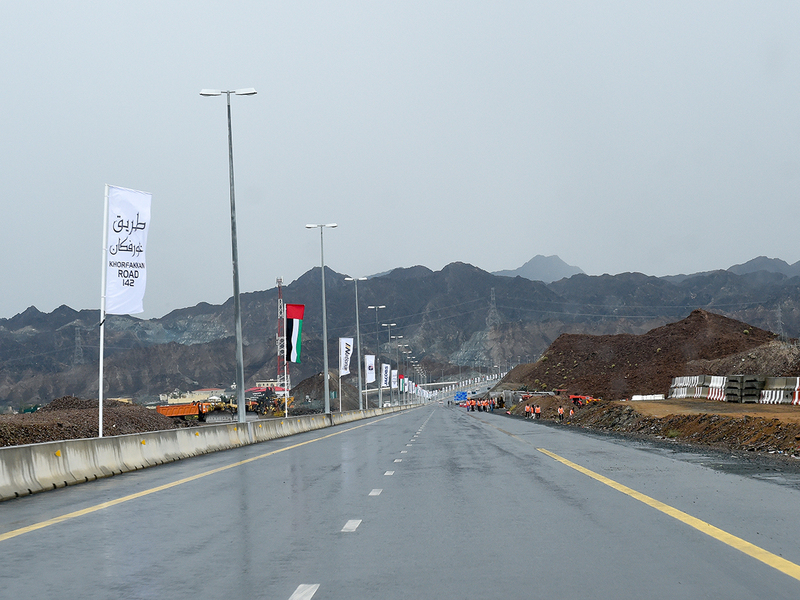 The first part of the road, with a total length of 65km, will be a dual carriageway, with two 7.4 metre lanes on each side, divided by a 10 metre wide central reservation. 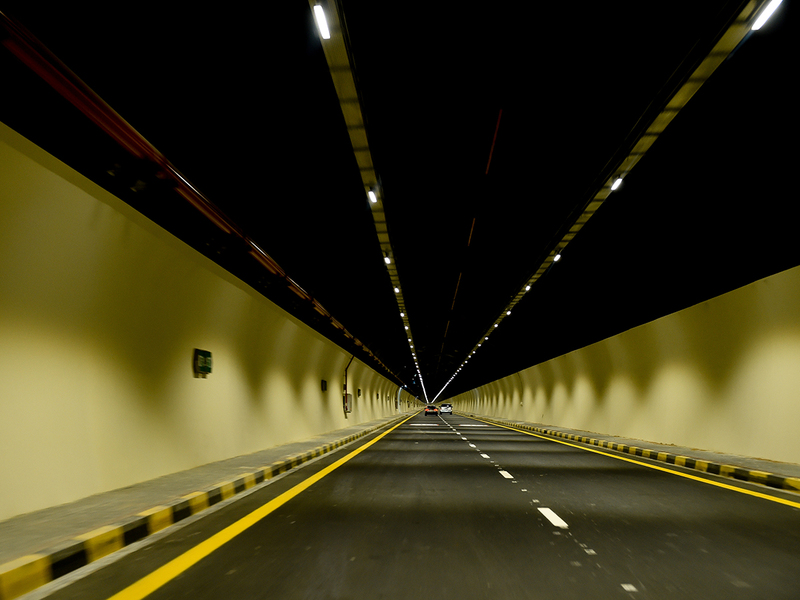 There are 14 intersections, seven underpasses and several slipways to allow for the drainage of water. 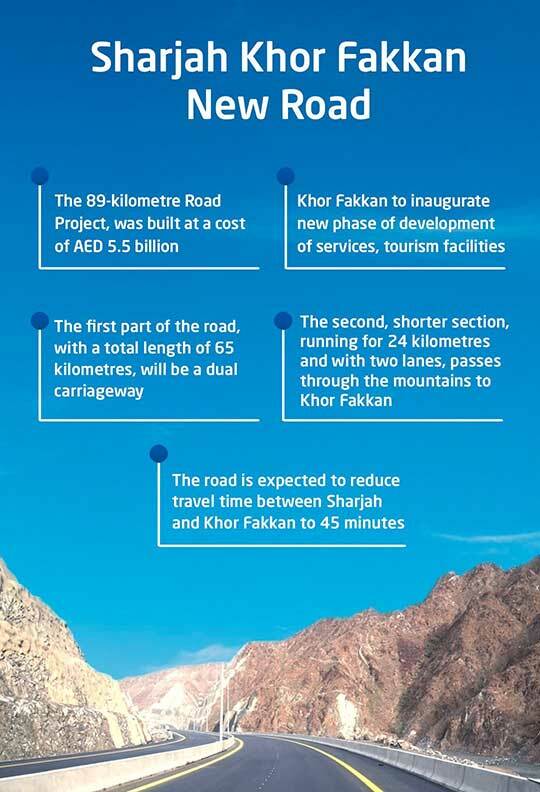 The second, shorter section, running for 24km and with two lanes, passes through the mountains to Khor Fakkan. 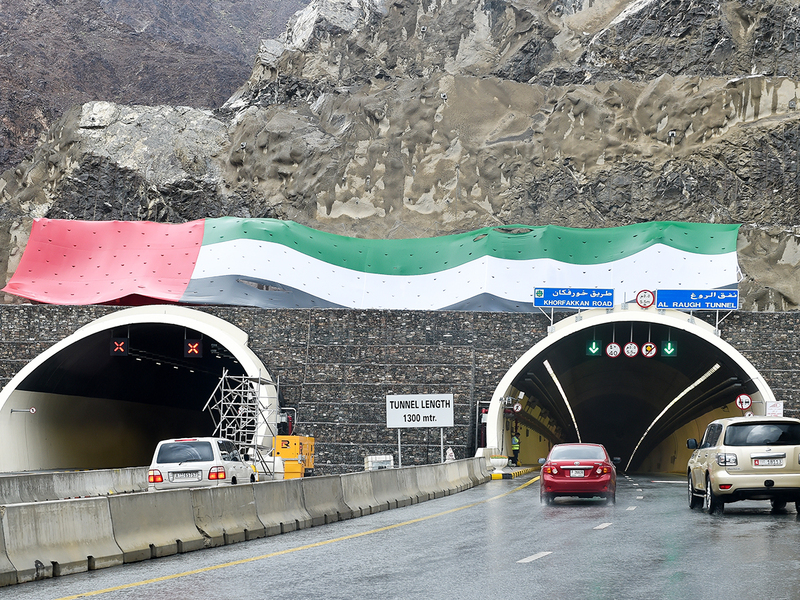 There are five tunnels in this section, the 1.3km Al Rogh Tunnel, the 900-metre Al Ghazeer Tunnel, the 300-metre Al Saha 300 Tunnel, the 1.3km Al Saqab Tunnel, and the 2.7km Al Sadra Tunnel. The resthouse area covers 10,684-square metres and includes a mosque with a capacity of 120 men and 20 women, as well as eight external areas capable of accommodating 300 people, a parking lot for 45 cars, a kilometre-long walkway, three 410-square metre play areas, service facilities and a branch of the Sharjah Cooperative Association. 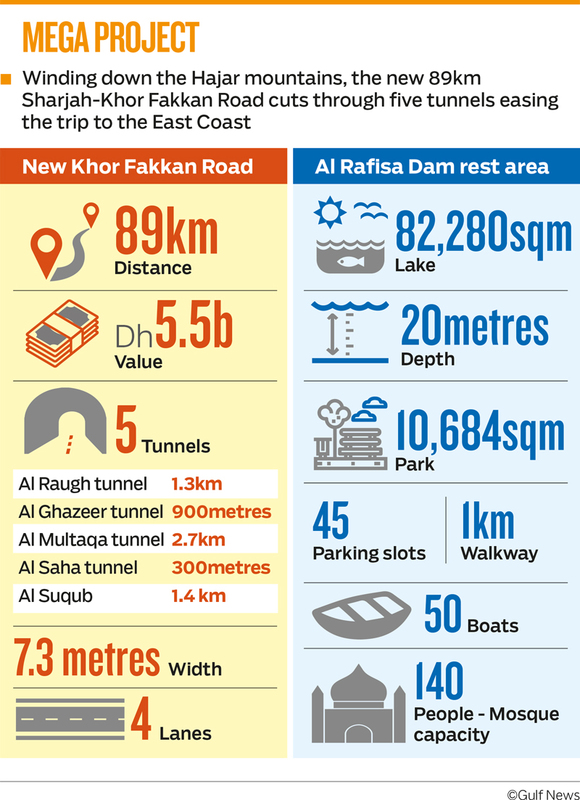 The lake behind Al Rufaissa Dam has an area of 82,280-square metres and a depth of 13 to 20 metres, as well as an anchorage for 50 boats. Also inaugurated on Saturday is the Four Lakes project, a group of four artificial lakes and surrounding facilities at the entrance to Khor Fakkan, and the Resistance Memorial, which commemorates the people of Khor Fakkan who fought against a Portuguese seaborne attack at the beginning of the 16th Century.